Spring is when most homeowners update their yards, and many are experimenting with alternatives to turf. Stones, of course, range from pebbles to statement pieces that are about big enough to climb. An all-rock front yard may be too stark. A combination of a gravel semi-circular driveway and plants is easy on the eyes. In the backyard, add raised beds, a patio or other hardscape. When removing grass, reshape flowerbeds. They do well with drip or micro-irrigation. As you create a new ecosystem, determine the amount of shade you find desirable. Work to ensure that the elements of your plan work together and with the design of your house. 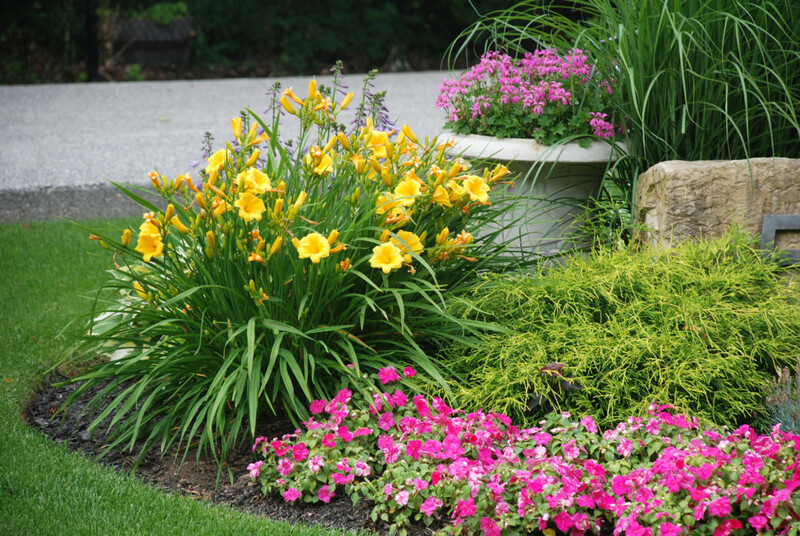 Azaleas are thirsty, whereas daylilies and lantanas use less water. Investing in new plants and new ways of watering them involves some interesting considerations. Start by consulting nurseries and landscapers. Innovative systems with internet-connected weather sensors are used on farms and in new construction. They may be worth adding as part of your landscape makeover. Properly functioning rain sensors shut off the sprinklers when the ground is saturated and can help lower your water bill. Xeriscaping refers to landscaping and gardening that reduces or eliminates the need for extra watering. Start by examining your existing property for areas that consume the most water. Lawns are often No. 1 in water guzzling, so a reduction in turf area can make a significant difference. Visit local nurseries, talk with them about plants and designs, turf and perennial beds, views, slopes, the need for screening from neighbors or roadways, use of soil amendments, and gravel and walkways. Daylilies, mentioned earlier, are examples of water-conserving, drought-tolerant plants. Replace broken rotary spray nozzles or gear-driven rotors. Inefficient mechanisms — or ones trained on the street — are a waste of money. The worst time to water is in the heat of midday. This encourages water loss through evaporation. Increase mulch around bushes, trees and plants to help trap water in the ground. Strive to water deeply and establish good root systems. Is it time this spring to rethink your sweep of green lawn? Might a smaller patch be just as attractive and require less water and upkeep? That could make things easier for you … and better for the planet.